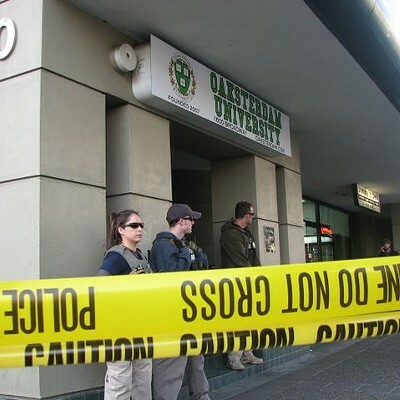 Federal officials from at least three law enforcement agencies raided Oaksterdam University and several other locations owned or affiliated with Prop 19 founder Richard Lee in Oakland this morning. 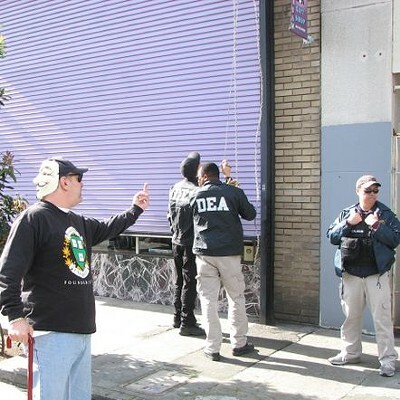 IRS and DEA spokespeople said the search warrant for the raids is under seal, with no time frame for the seal being lifted. They would not comment further. Reports state that Richard Lee and three others have been detained. 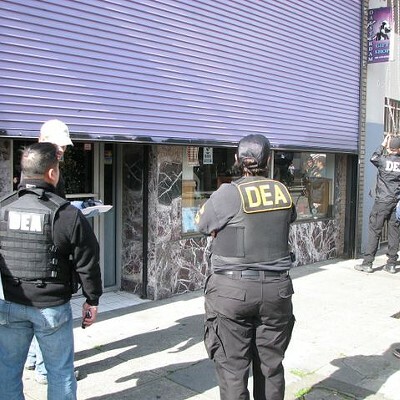 The DEA raided Oaksterdam University, Coffeeshop Blue Sky, Oaksterdam Museum, the Oaksterdam Gift Shop, and Lee's apartment. Local police were on the scene handling crowd control, but their role, if any, in the raid itself is unclear. 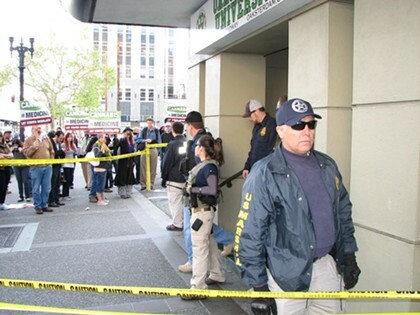 While the cause of the raids is not clear, Lee's history with the federal authorities indicates that the raid is an escalation of an ongoing conflict. 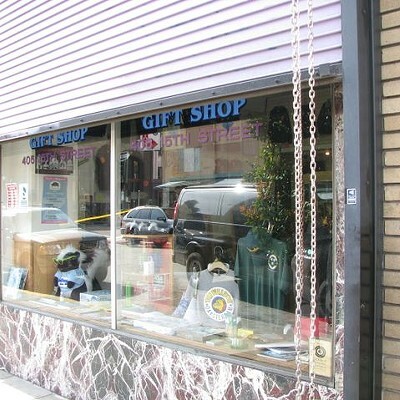 Last year, US Attorney Melinda Haag forced Lee's city-permitted cannabis dispensary, Coffeeshop Blue Sky, to move by threatening that the club's landlord would be required to forfeit the property. Haag said Coffeeshop Blue Sky was too close to a school. Lee promptly moved two doors down, then again to the site of Oaksterdam Museum on 18th and Broadway not far away. In an interview in February, US Attorney for the Eastern District Benjamin Wagner said the federal government was acting with restraint during its ongoing crackdown on medical marijuana businesses, sending forfeiture letters to most clubs, and reserving raids and prosecutions for the most "flagrant" violators of the Controlled Substances Act. Federal agents in the parking lot adjacent to Oaksterdam. Executive Chancellor for Oaksterdam University Dale Sky Jones said Lee was "woken up by people with guns. He was detained but not arrested." "At this point we are still in the fog of war. All I see it as is an attack on the people trying to bring this out of the shadows and into the light," Jones said of medical cannabis. "This is a social justice issue. The economics are insane considering our tax dollars are keeping cops on the street. "They are attacking one of the leaders of the revolution," Jones continued. Former Prop 19 co-organizer Jeff Jones said the raid would make a martyr of Lee, and further amplify the local ire with federal law enforcement. About fifty to a hundred activists heckled federal law enforcement at Oaksterdam after the raid, shouting "Shame!" and remarking, "What a waste of money." One protester was arrested by Oakland Police. "They're sending a message," Jeff Jones said. "Shutting down Coffeeshop Blue Sky was part of the crackdown. I wouldn't doubt [that this was retaliation for him staying open]. "It's about him," Jones added about Lee. "They're trying to intimidate him." "He's defying authority. If you don't stand up for what you believe, for what is scientifically right and legally appropriate, who does?" 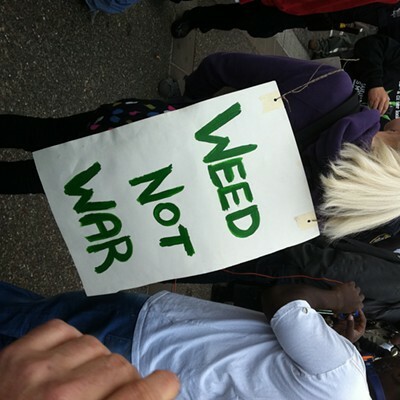 said Jane Klein, publisher of The Marijuana Grower's Handbook. 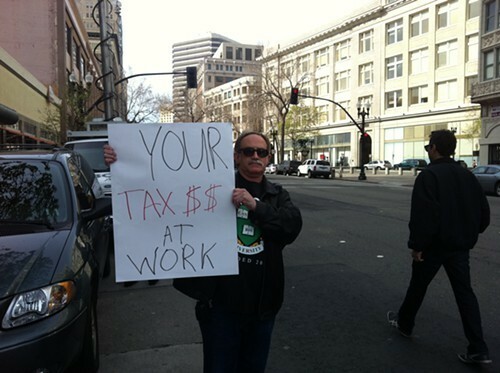 "Oakland should support him." 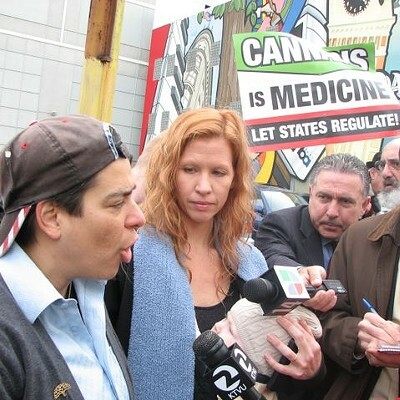 Oakland City Councilwoman Rebecca Kaplan didn't know what the charges were, but said dispensary regulation in Oakland had succeeded and Richard Lee is an asset to public safety in Oakland. "I do know that his involvement in Oakland has been overwhelmingly positive," Kaplan said. "He's been a responsible community participant. He's been an exemplary community member. "The real important question though from Oakland perspective is how we fight violent crime," Kaplan continued. "If we have extra law enforcement resources to spend extra time, we need them to be out fighting illegal guns. We have a crisis of armed robbery." "This isn't about justice, it's about revenge and it's outrageous," said Stephen DeAngelo, owner of Harborside Health Center. "It's not just an attack on Rich, it's an attack on every medical cannabis patient in California. It is not coincidental that they are going after the guy who - as the lead fundraiser and organizer of Prop 19 - very nearly legalized cannabis in California."